Join Team HFOT and make every mile count! 4/28/19 Big Sur International Marathon Weekend (12K, 11 Miler & Marathon) Big Sur, CA JOIN NOW! 5/18-5/19/19 Colfax Marathon Weekend (5K, 10 Miler, Half Marathon, Marathon Relay & Marathon) Denver, CO JOIN NOW! 8/18/19 Falmouth Road Race Falmouth, MA JOIN NOW! 10/13/19 Bank of America Chicago Marathon Chicago, IL SOLD OUT – Own Entry Available! 11/3/19 TCS NYC Marathon NYC, NY SOLD OUT – Own Entry Available! 11/23-11/24/19 Philadelphia Marathon Weekend (8K, Half Marathon & Marathon) Philadelphia, PA JOIN NOW! 1/18-1/19/20 Houston Marathon Weekend (5K, Half Marathon & Marathon) Houston, TX JOIN NOW! If you have questions about joining Team HFOT for our Race Season, please email: [email protected] or call 508-967-9029. 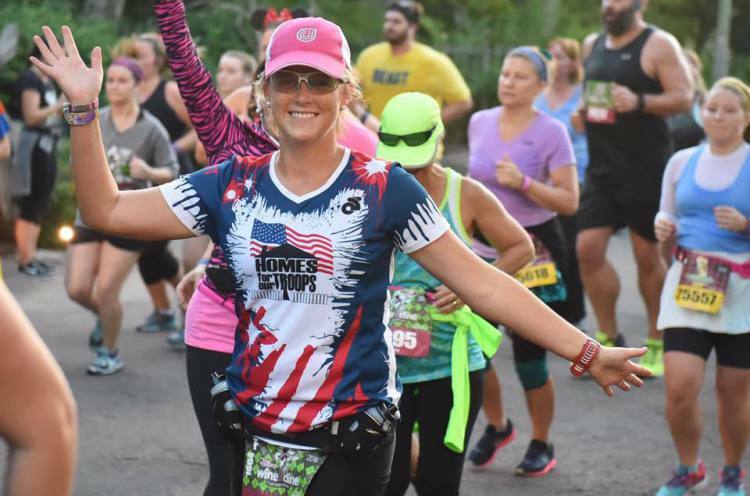 Every year, hundreds of runners raise funds and awareness for the Homes For Our Troops mission at races throughout the country as a member of Team HFOT. There are two ways you can join the team, either on Team HFOT or as a DIY Runner. Take a look at the difference, and decide which one is right for you! Our running team of over 500 runners who support our mission and secure entry through HFOT for major races throughout the country. Someone who is currently registered in an upcoming race, triathlon or fun run that wants to fundraise and support the HFOT mission every step of their race. *When minimum fundraising commitment is reached. Participating in a race not listed? Why not sign up as a Do It Yourself(DIY) Runner? Set Up My DIY Page !